What a moving week this was! Of course, the Pope went to Poland, the homeland of our late beloved Pontiff, John Paul II. The visit was significant just for that reason alone—after all, John Paul II did so much for the Polish people. After almost a century of persecution, John Paul II gave the people of Poland a new hope. It is well known that he was greatly loved there. The new pope—Pope Benedict—is German. The Polish people greatly suffered at the hands of the Nazis. 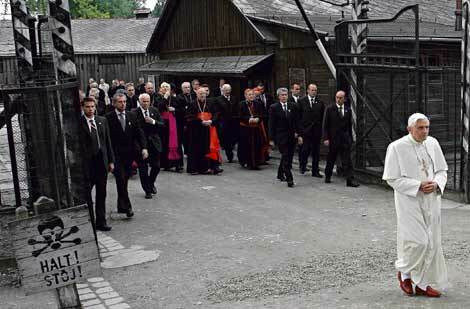 The most infamous concentration camp—Auschwitz—wasn’t too far from where John Paul II grew up. It’s hard to imagine what a German flag or a German symbol evokes for Polish people—it’s a reminder of the Holocaust, the persecution, the oppression they suffered at their hands. But here I think we get a glimpse into the beauty of the Catholic Church. Catholic, of course, means universal. It truly is a universal Church—it’s a Church of Polish people, American people, Nigerian people—and yes, also German people. Here comes a German Pope to Poland. He weeps with the people of Poland. He walked through the death camp. He talked with survivors—people who suffered at the hands of his own countrymen. Later he said, "Auschwitz must not be forgotten, and the other 'factories of death' in which the Nazi regime tried to eliminate God in order to take his place!" the pope said. "We must not cede to the temptation of racial hatred, which is at the origins of the worst forms of anti-Semitism!" Throughout all of this, I think what you see is the beautiful vision of humanity the Catholic Church has to offer. One visible head—the Pope—who unites all believers. It’s not a matter of forgetting our differences—ignoring different ethnicities, cultures, traditions—it’s not a matter of homogenizing all the distinctions. Faith means retaining those things which make us unique and celebrating the way Christ unites us all—each in all our uniqueness—in Himself, in His body, the Church. Of course, many people today think that differences or distinctions are a bad thing. In our post-modern world, people think we have to pretend that there are no differences between men and women; we have to imagine a world without different nations. In other words, we all need to obscure what makes us unique. We need to be “color blind.” Racism and sexism are wrong—there’s no doubt about that. But to ignore our differences is also wrong. That’s not the Catholic vision. And I don’t think that’s a truly human approach either. How appropriate is it that the Pope made this wonderful visit the week before Pentecost. At Pentecost we have the great ingathering—the birth of the universal Church. 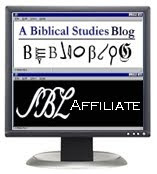 Sin divides—as the episode at the Tower of Babel demonstrates. But the Spirit brings forgiveness, reconciliation and restoration. For more on Pentecost see my post on the meaning of the feast here. A universal, global, diverse church. That's a fact we've lost sight of here in the US, in my opinion. It's not so much our outward piety that bonds us, but the internal connection to Christ's one body.